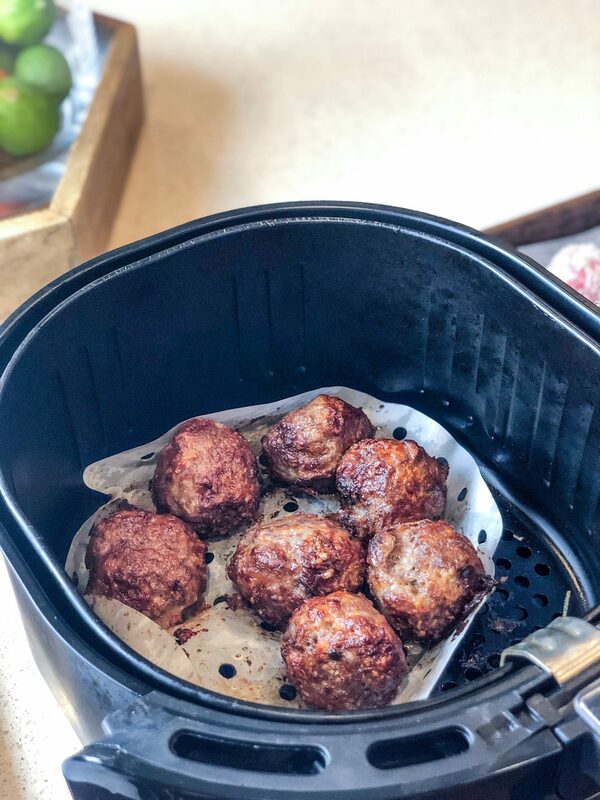 Today I wanted to share a quick post on how to make meatballs in the air fryer!! Scroll down to get to the recipe! I originally came up with this idea on a night that I had extra ground beef when I was making burgers on the cast iron. 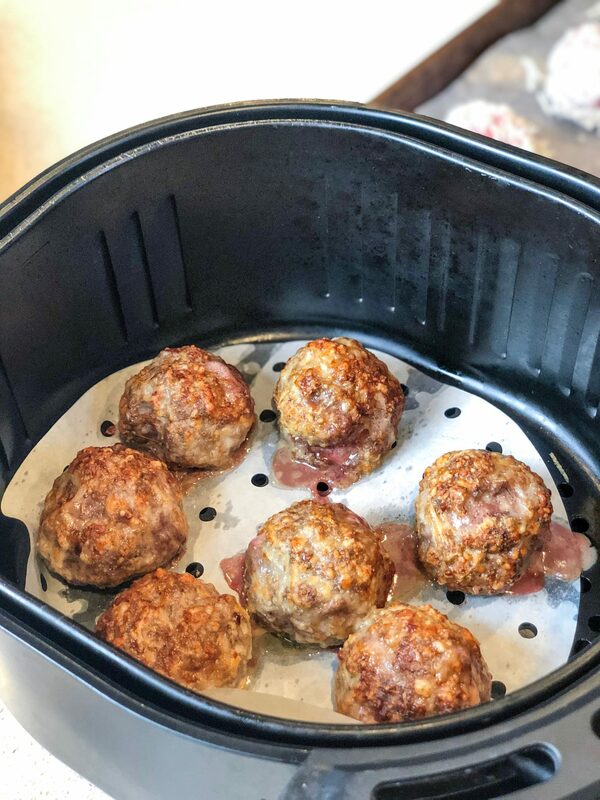 I didn’t want to mess with another pan or freeze the meat, so I just seasoned up my leftover ground beef and attempted to make meatballs in the air fryer, since Isla loves them so much. With a little trial and error, they turned out perfectly. I found my notes on them the other day and decided to make it again and write it all out. You should see the random post its I leave in a drawer when testing a recipe – they look like a crazy person wrote them! LOL But I don’t follow recipes and just add things by sight, smell, and taste (depending on if I eat said item or not ;)). 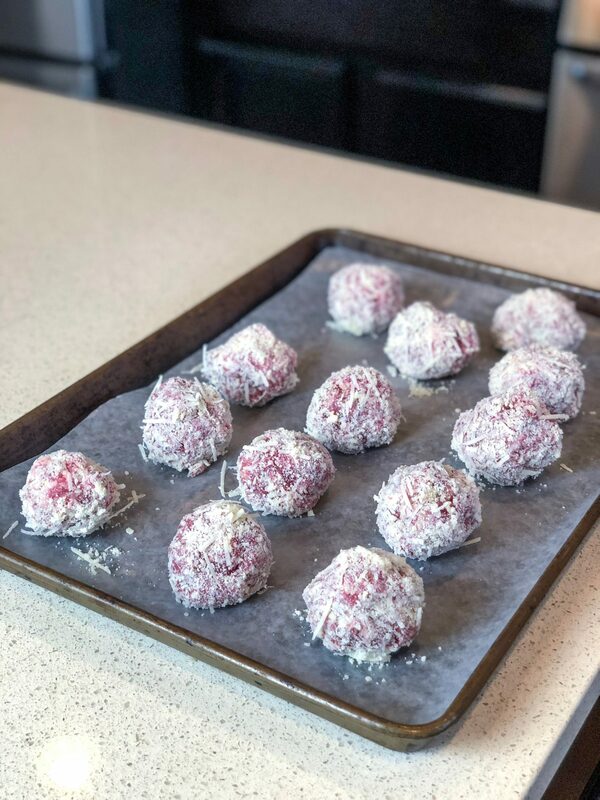 The best thing about these meatballs is that you roll them in parmesan cheese prior to putting them in the air fryer, and that gives them this cool crispy texture, with the juicy center of the meatballs. This step isn’t necessary but I highly recommend! 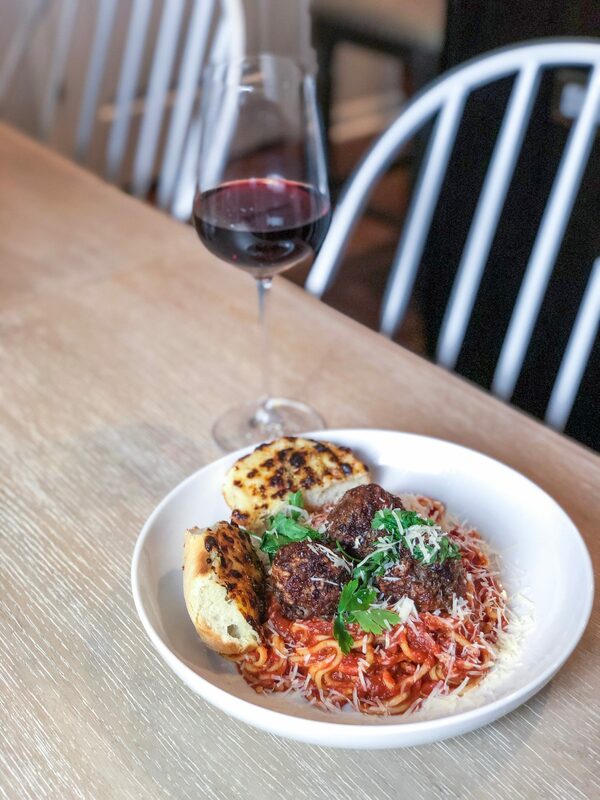 First I’m going to say how long to do the meatballs, because many people have a recipe that they prefer. Go ahead and use that, and make the meatballs medium sized. So not big ole huge ones, nor mini meatballs. I also recommend rolling them in grated or shredded parmesan, but that’s a personal preference. Don’t overcrowd your air fryer – make sure there’s space between your meatballs (see pics below). No need to preheat the air fryer. Cook them at 380 degrees for 16 minutes. Half way in between (so after 8 minutes), flip them over. Finish cooking for the remaining 8 minutes. You could also cook these at a bit of a lower temperature – like 370 for 18-22 min depending on the size of your meatballs. Just make sure and flip them half way in between. I use 3 cloves of freshly grated garlic, basil, oregano, onion powder, dried thyme, and a little crushed red pepper. I eyeball this but go heavy on the oregano and basil. 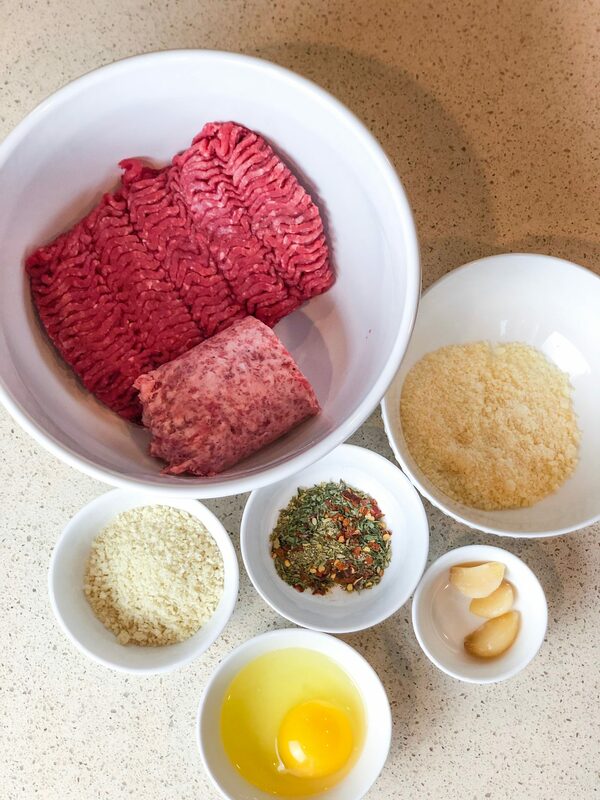 Combine all of these (except the 1/3 cup reserved to roll the meatballs) in a large bowl. Mix it so it’s evenly combined (use your hands to do this – using a utensil won’t get them properly combined). Then roll the meatballs out and put on a wax paper lined baking sheet. This makes for easier clean up in the end! 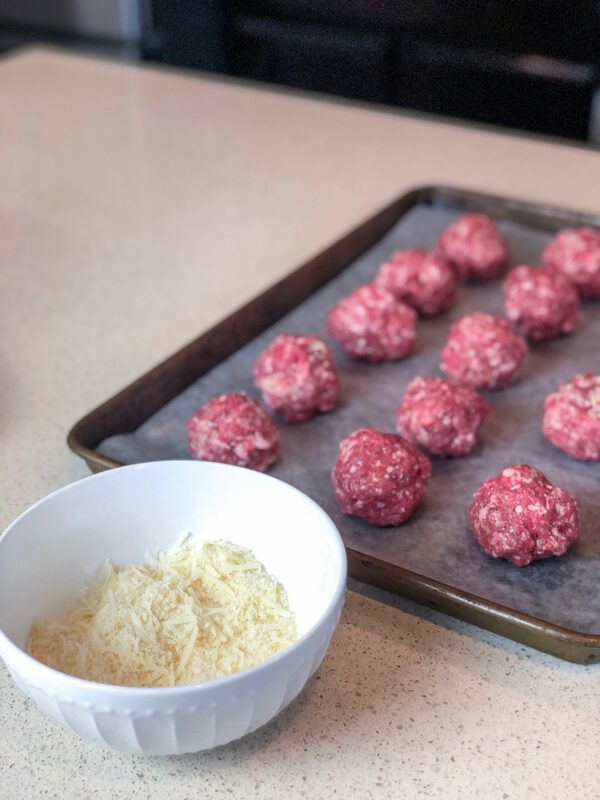 Take the rolled meatballs and roll them in the rest of the parmesan cheese. Make sure they’re coated all the way around. Put in the parchment lined air fryer spaced apart and cook as noted above! See photos below so you can see the process a bit! Happy eating! Below: prior to rolling in the parm. Below: after rolling in the parm. Below: half way between cooking, flip meatball over. Below: look at that crispy deliciousness! Leave any questions in the comments below!! Hope you love it! 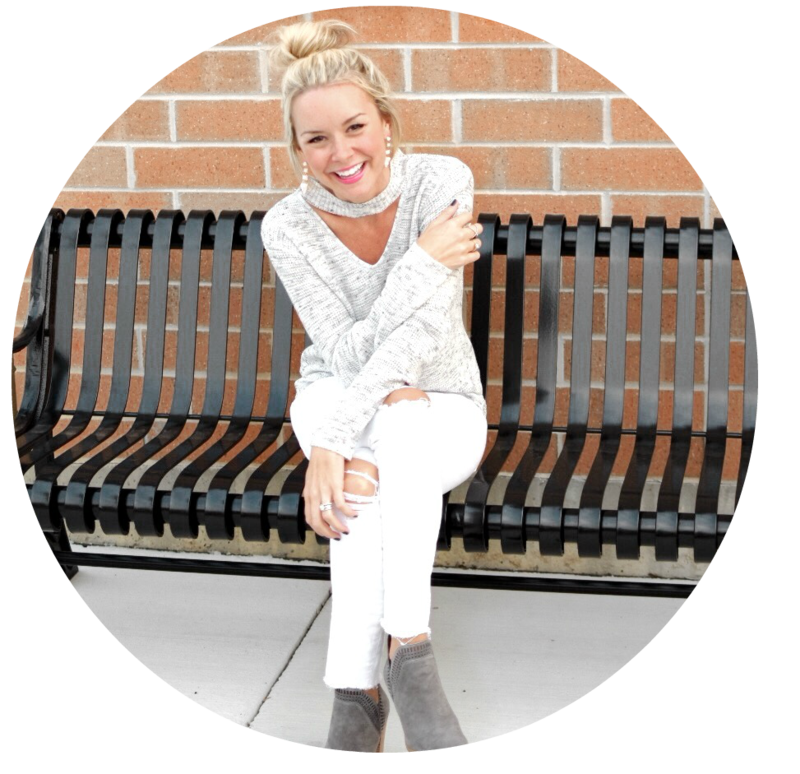 Previous Post unbelievable walmart spring clothing finds!